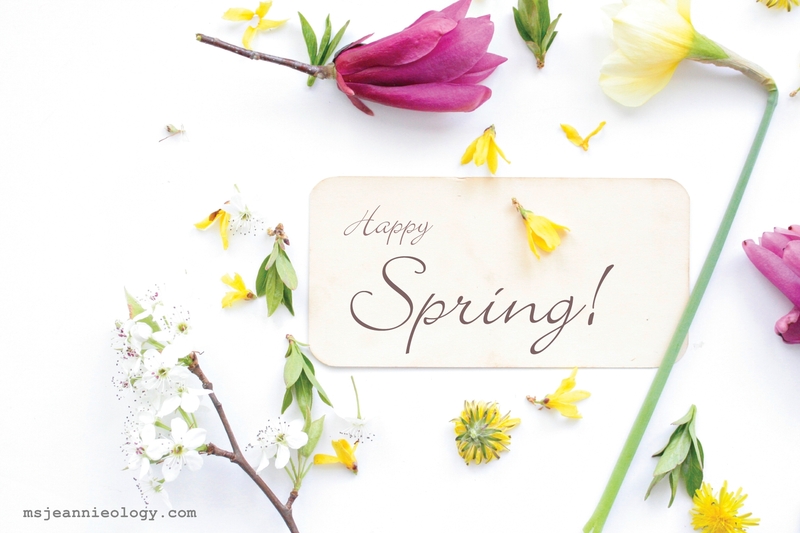 Happy First Day of Spring, dear readers! After what seemed like an especially long, gray winter, Ms. Jeannie couldn’t be more thrilled to brighten up with some pastel colors and warm sunshine. 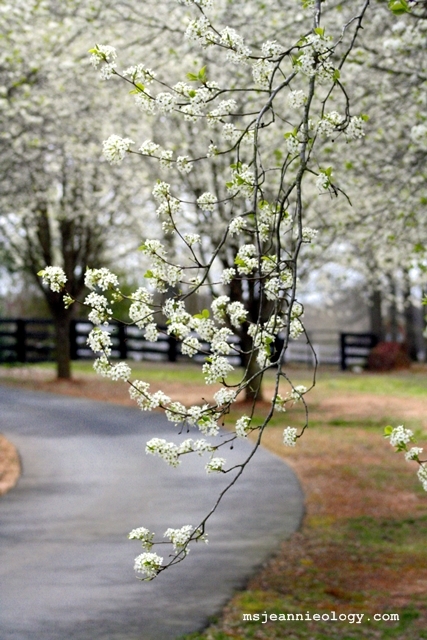 To mark the occasion, Ms. Jeannie is taking you on a little photo tour of all things blooming here in her yard. If she were a bird, Ms. Jeannie would definitely follow suit of this brown thrasher and make a nest here in the tulip tree. He’s quite proud of this new abode and stays pretty close to home. Ms. Jeannie can totally understand why. 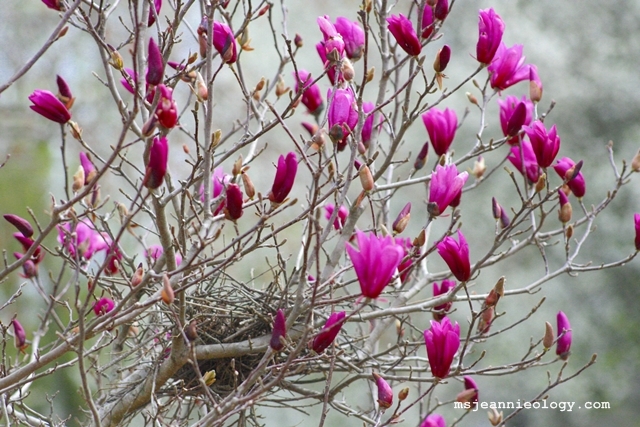 If you lived in a tulip tree would you go wandering as much? Ms. Jeannie was surprised to find the rosemary bush blooming also. For some reason, the idea that rosemary even blooms always surprises her, maybe because it is a year round evergreen in the South. Since it grows big quickly it is used in a lot of landscaping as a filler plant. 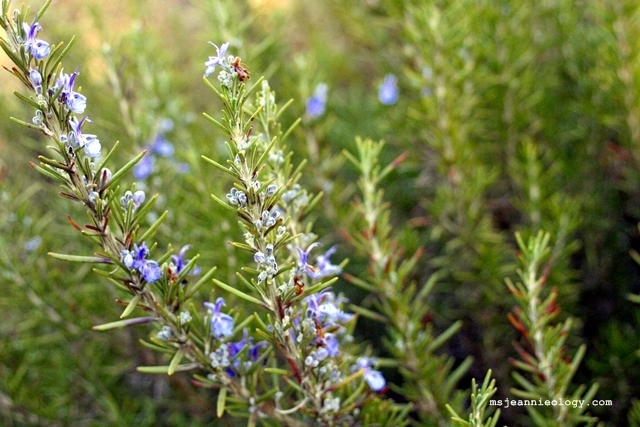 When Ms. Jeannie lived up North, she never imagined that rosemary could get so big. But this particular bush is 4 feet wide and 3 feet tall! 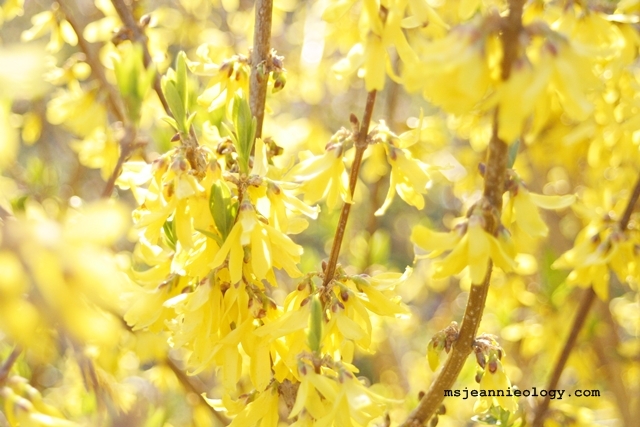 The bright yellow forsythia bushes are like balls of sunshine popping up all over the yard! This particular batch sits next to the now famous fig bushes that you all have read about in past posts. 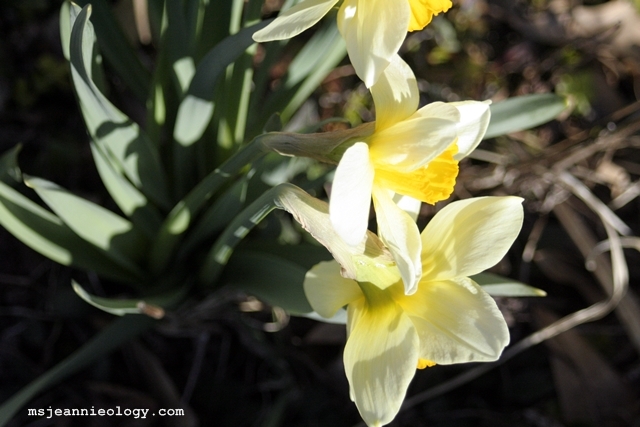 And of course there are the clusters of daffodils here and there. One day Ms. Jeannie is going to have a giant patch of all different varieties of daffodils. They are one of her most favorite flowers and really perk up the garden in early spring. The Austrian poet and writer, Rainer Maria Rilke once said ” Spring is blooming so recklessly, if it were voices instead of colors, there would be an unbelievable shrieking in the night.” Ms. Jeannie couldn’t agree more, although she likes to imagine there would be singing in the night instead of shrieking! Maybe Vivaldi felt the same when he composed the Four Seasons concerto! 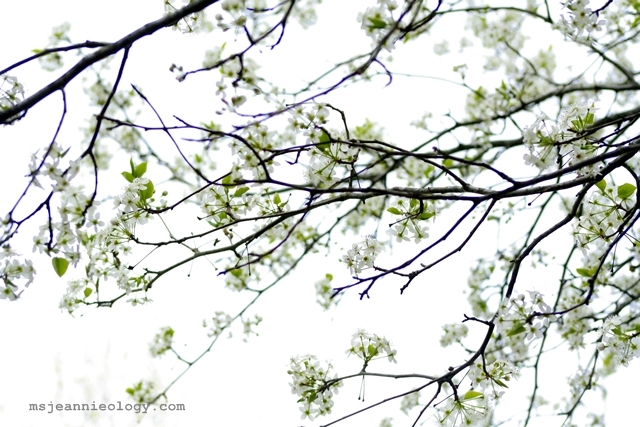 This is the text of the Spring Sonnet, which is as lovely to read as it is to listen to! Spring has come and joyfully the birds greet it with happy song, and the brooks, while the streams flow along with gentle murmur as the zephyrs blow. There come, shrouding the air with a black cloak, lighting and thunder chosen to herald [the storm]; then, when these are silent, the little birds return to their melodious incantations. 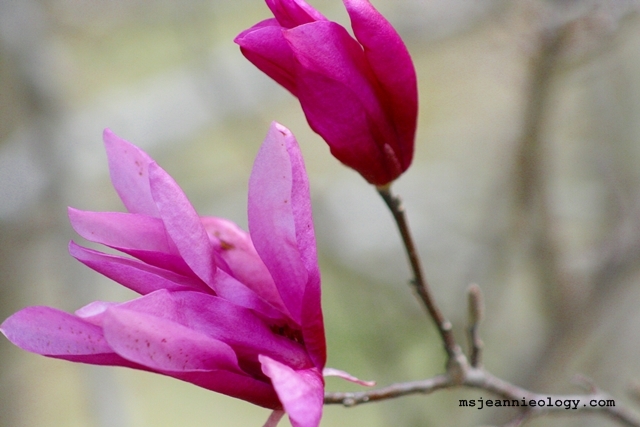 If you’d like to share any pictures of spring arriving in your neck of the woods, Ms. Jeannie would love to post them on the blog as a spring around the world campaign. Just comment below and she’ll get it all arranged! 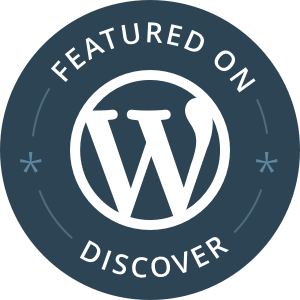 Previous An Icon (and an Artist) Identified! Next Mad Men Season 6: What the New Poster Might Tell Us! Thanks so much for sharing your garden. The first day of Spring has come and gone and today it’s cold and windy. Mother Nature’s playing a joke on us!